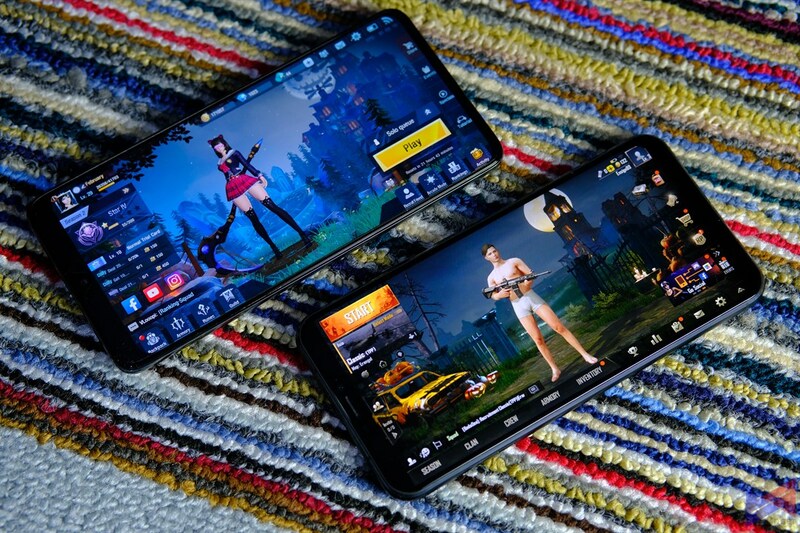 These days, the flagship market is becoming accessible to more consumers, thanks to an effort from the numerous smartphone companies to create devices that offer an excellent mix of premium design, powerful hardware, and breakthrough features, all packed with a competitive price. 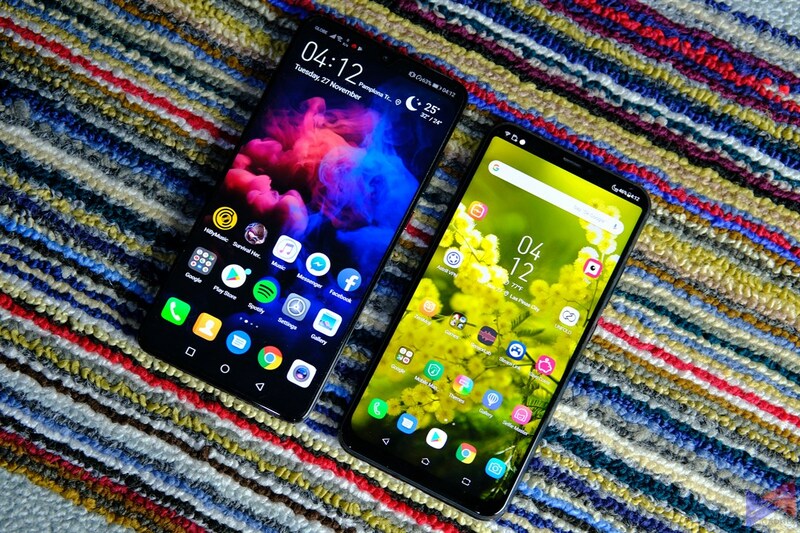 Today, we’re doing a comparison of two such devices – The ASUS ZenFone 5z, and the Huawei Mate 20. Both devices offer top notch specs, and a ton of features that on paper, would make you go “oh, it can do that?.” Well, that’s the marketing part until you actually use them, right? 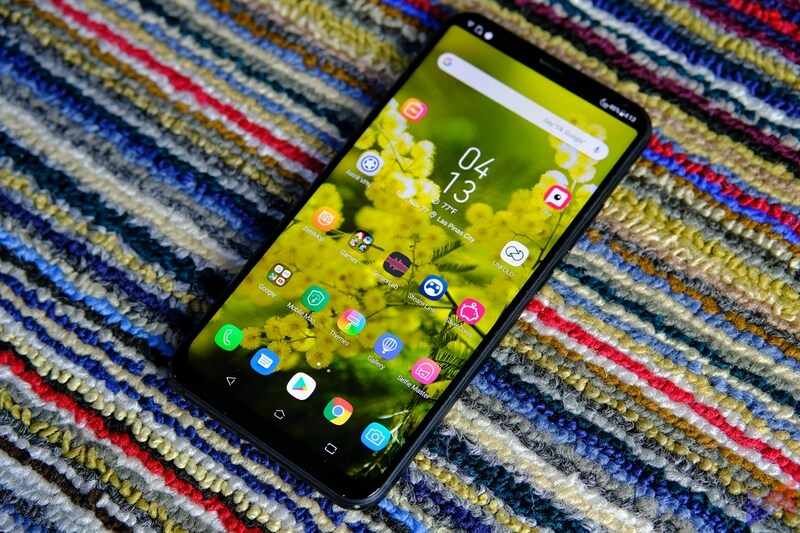 At PhP29,995, the ZenFone 5z was formally launched along with the rest of the ZenFone 5 series, but was the last of the three to become available in the market (Pretty strange for a flagship right?). In any case, the fact is that it’s one of the few flagship phones that are priced below PhP30,000. Well, PhP5.00 shy, to be exact. But don’t be fooled by its price. It does pack a Snapdragon 845 and AI-assisted cameras, among many other tricks in the sleeve. To make it short, it’s a proper flagship on paper, at a very enticing price. The recently launched Mate 20 series from Huawei has earned a lot delight from tech media. The Mate 20 in particular, while slightly inferior to the Pro version in a battle of who can do more contest, isn’t overshadowed, but has established its very own identity. At 40,990, it’s a tad more expensive than the 5z, but there are several reasons for that. 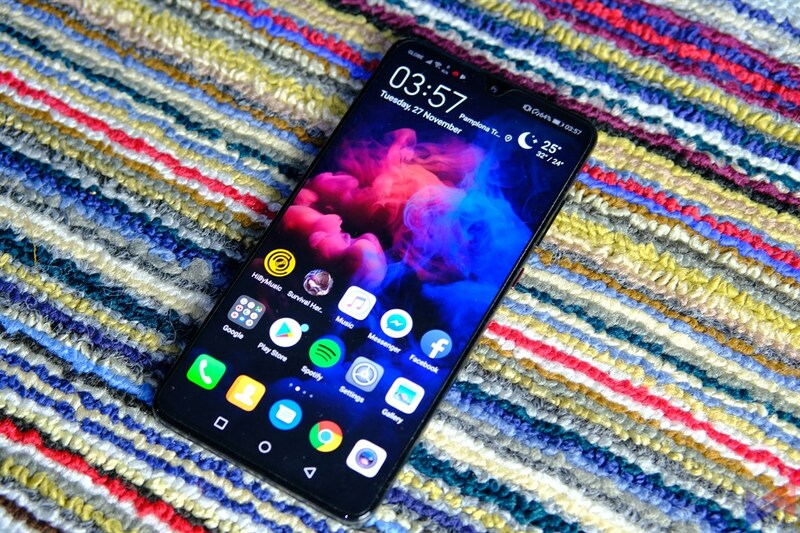 Perhaps two of the most notable ones would be – First, it has the new Kirin 980 processor, which brings a ton of improved AI features, and speaking of which, it also has AI-assisted triple rear cameras at your disposal, and Huawei’s SuperCharge Technology, which you can take, literally. So, can the Mate 20 justify its price difference over the 5z? Can the 5z go hold its own against a more recent device? Let’s find out. Let’s face it. The ZenFone 5z is still the ZenFone 5 in terms of looks. You get a notch that looks like the one on that fruit brand, a glass back, and metal sides. The Mate 20 on the other hand, really distinguishes itself from the Pro, with its smaller notch which bears a striking resemblance to devices from the V and the O brands. The 5z bears a slightly thicker bezel at the bottom, while the Mate 20’s bezels look more balanced. The back panels on both are smudge magnets and can get slippery without a case. The Mate 20 feels slightly more cumbersome to use with one-hand due to its larger screen. Button layout is also similar on both devices. Volume Rocker and Power Button on the right, and a SIM Card slot on the left. The 5z can accommodate a microSD card, wheras the Mate 20 cannot, but you do get 128GB of storage by default. Both devices are equipped with Type-C ports, and a headphone jack. 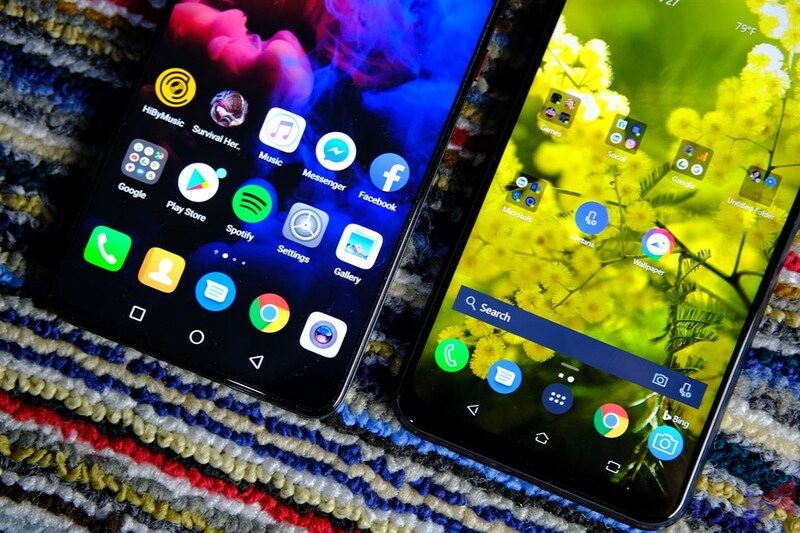 I’ve used a number of ZenFones before, and I have to say that ASUS does a good job with their screens – in terms of how punchy the colors are and how bright the display can go, and I’d say that it’s the same case here. The Mate 20 comes close, really really close. But I just prefer the saturation of colors, the sharpness, and the liveliness of the 5z’s screen. Both these devices have top of the line processors. As such, we got no less than stellar performance in daily tasks. A mix of web browsing, social media, music, video, calls, text messages, and even some gaming and picture taking on the side. 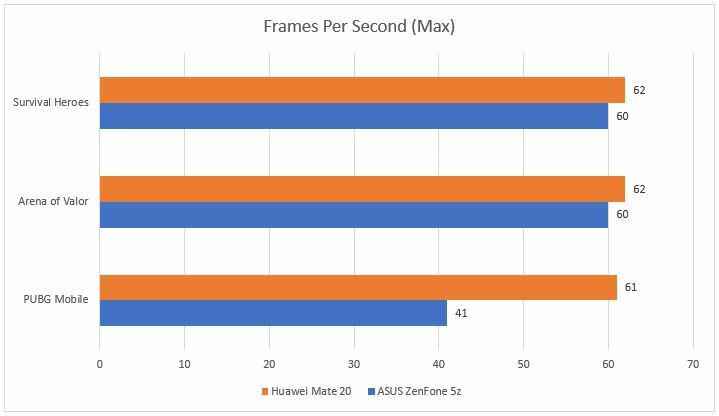 Both the 5z and the Mate 20 performed exceptionally well. Now, the Mate 20 runs on the new Kirin 980 processor, which supposedly delivers a 20% improvement in performance over its predecessor, and 58% better power efficiency. Now, the 970 was no slouch, and with the new GPU Turbo update, we’re keen on knowing just how much these percentages actually translate into real world performance. 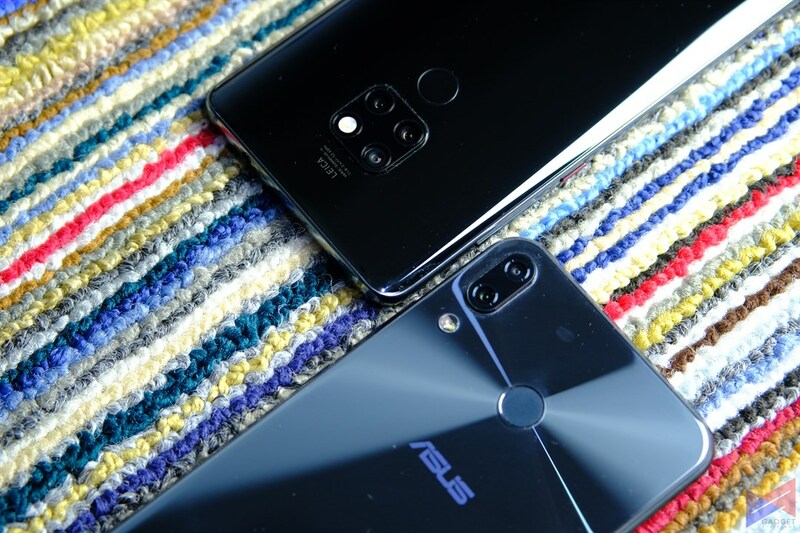 The ZenFone 5z on the other hand, runs on the Qualcomm Snapdragon 845 processor, which has proven itself time and time as a performance monster. We figured the best way to show you the difference between the two, is with a gaming test. We’ll use GameBench to measure FPS, memory usage, and battery usage for both devices. We’ll play PUBG Mobile, AoV, and Survival Heroes. Both phones are set to Performance mode, with the 5z’s AI Boost Enabled, and the Mate 20’s GPU Turbo enabled with compatible titles. 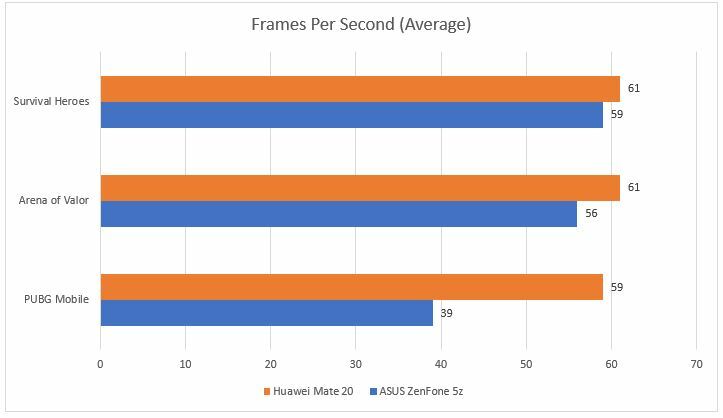 Regardless of whether it’s a game that’s compatible with GPU turbo or not, the Mate 20 tends to perform better than the 5z. At the rear, ZenFone 5z packs two cameras, one main, and one for depth. The Mate 20 on the other hand, boasts three shooters. A main, one ultra-wide angle, and one with a telephoto lens. We took some sample shots to see how each phone will perform in various shooting conditions. Since the ZenFone 5z’s AI can’t be turned off, all photos were taken with the Mate 20’s Master AI enabled. On a usual daylight shot, both phones appear to exhibit good detail and sharpness. However, zooming in reveals that the Mate 20 is able to capture more details than the 5z. Take a look at the embossed word. Next, we tried taking an HDR shot with both devices. The two can actually go toe to toe in this case, but I’d hand it again to the Mate 20 for capturing better details (look at the windows on the buildings). We also took wide-angle shots with both phones. The result? the ZenFone 5z can take in more area, with a slight fisheye effect, which is good at times, and not so applicable at times. The Mate 20 on the other hand, goes for a narrower field of view, but makes up for it with details. Just look at the part of the photo with clouds. Both the 5z and the Mate 20 are also capable of taking good quality shots with the bokeh effect. In this case, the 5z’s photo is just slightly darker. Zooming in on the part of the plastic cup with moisture, you’ll be able to tell that the Mate 20’s shot shows more detail. In night shots, the Mate 20 demonstrates its control of light sources in the background (look how clear that sign is beside the word “UCC”), whereas the 5z seems to take in more light, which in turn illuminated darker parts of the photo. Here’s another night shot. In this case, the photo taken with the Mate 20 again, shows its control of light sources and better color accuracy, compared to the 5z’s which seems like it took in more light to illuminate the subject. Selfies. Again, both phones take great looking selfies with good color reproduction and sharpness. Then again, zoom in and you’ll find that there’s more detail in the photo taken by the Mate 20, especially in the area between the nose and the lips. While both phones offer an engaging experience, software-wise. EMUI’s design just looks outdated, especially the icons. ZenUI 5 on the 5z offers a more lively motif, which in a way makes the interface more enjoyable to use. Performance-wise, navigation is smooth and fluid for both devices as well. 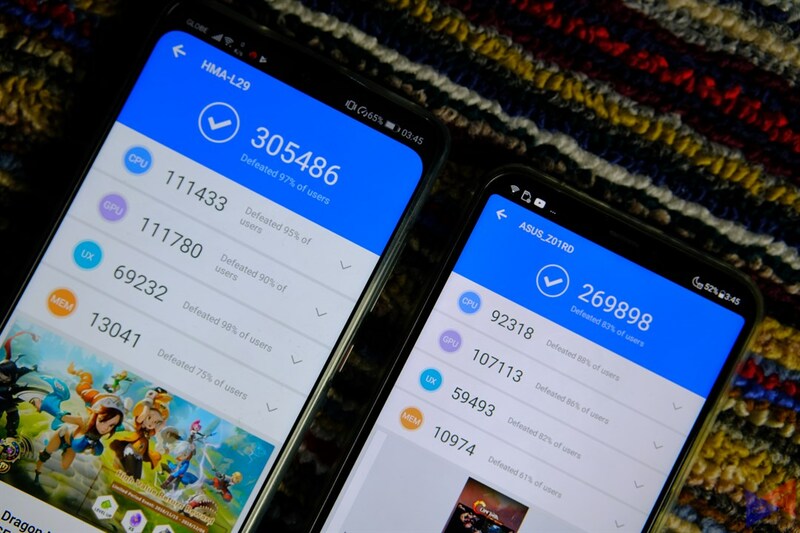 Whereas ZenUI wins in looks, EMUI does give you a number of nifty features, such as automatically lowering the resolution to match the task being done, and GPU turbo, even with its limited support for games, still looks promising in the long run. The 5z also has AI-boost, but that’s more focused on CPU performance, which helps, but not as much. As far as customization is concerned. Both ZenUI and EMUI basically offer more or less the same options. Changing the effects on the Homescreen, themes, etc. Just enough to make the phone feel a bit more… personalized. 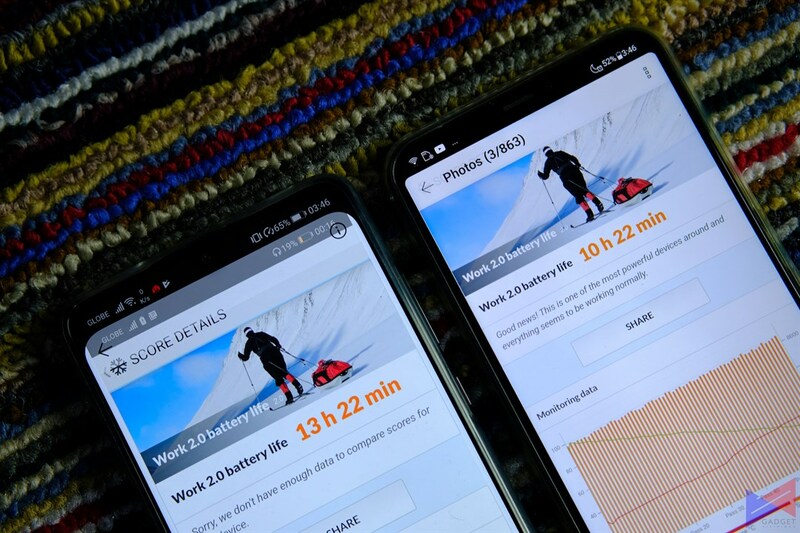 As far as longevity is concerned, the Mate 20 with its larger 4,000mAh battery outclasses the 5z by a few hours using PCMark’s Work 2.0 benchmark, which simulates basic editing and data manipulation. Of course, you may get longer hours depending on how you use the phone. Both should give you at least 1 full day on light to moderate use. 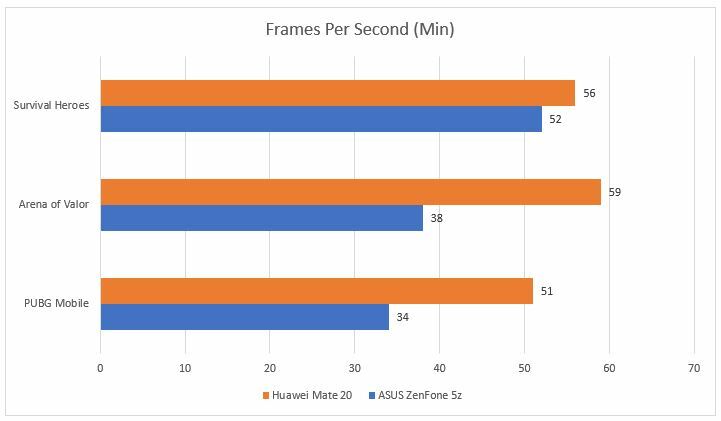 Charging times – well, Huawei’s SuperCharge Technology can fully juice up the Mate 20 in 1.5 hours. The 5z’s Quick Charge 3.0 can also fully charge the unit at the same amount of time, but remember that the Mate 20 has a bigger battery compared to the 5z. 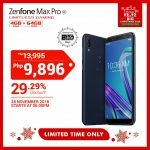 While it’s pretty obvious that the Mate 20 outclasses the ZenFone 5z in most aspects, you have to consider that the former costs PhP10,000 more (The Mate 20 costs PhP40,990). The 5z isn’t a bad phone in any way. It does offer great performance, decent optics, and an intuitive and very engaging user experience for its PhP29,995 price tag. That’s good value right there. If, however, you can spare the extra cost, the Mate 20 is a great choice, as it delivers everything the 5z can, and mostly, in better ways. You get top of the line Camera performance, great gaming performance with GPU boost, and impressive battery life, among its other perks.